PA chairman again stresses that the PA will continue to pay terrorists and their families. 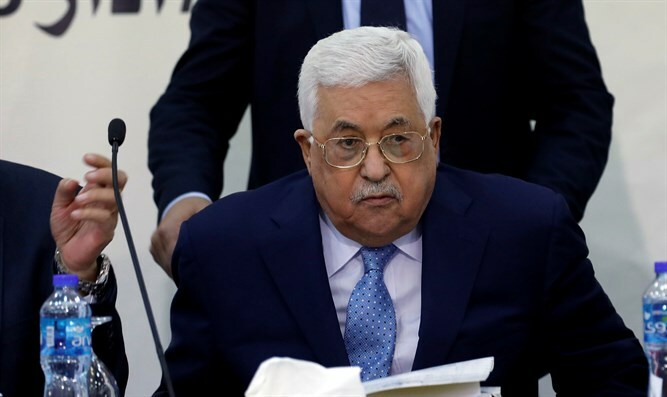 Palestinian Authority (PA) chairman Mahmoud Abbas once again made clear on Monday that the PA will continue to pay terrorists and their families. "We will not agree to cut or cancel the salaries of the families of the martyrs and prisoners, as some are trying to do," he said at a meeting with the leaders of the Palestinian prisoners' movement, according to Yediot Aharonot. "Even if we only have one penny left, we will hand it over to the martyrs, the prisoners and their families. We view the prisoners and martyrs as stars in the skies of the Palestinian resistance, and they have priority over everything,” added Abbas. Israel recently approved a law withholding tax funds to the PA as long as it continues to pay terrorists. PA officials have made clear that the PA will never cease paying terrorists' salaries, threatening that Prime Minister Binyamin Netanyahu would have to pay more if the salaries were deducted from the payments to the PA.